Expect only unhurried journeys and lots of loafing in these. 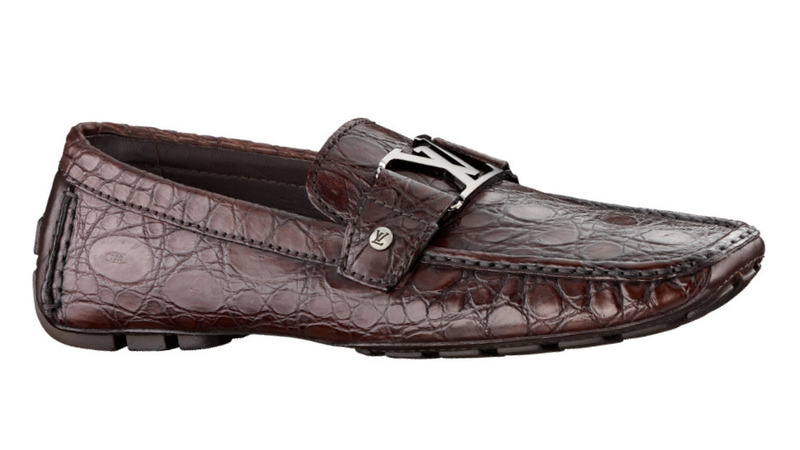 Why, you ask, would you need a driving shoe when, if you are looking for footwear in the similar slip-on style, the loafer is perfectly fine? Well, it is precisely because you are on a drive, more specifically a very long drive like, say, from the heart of the city all the way to a mountain escape, that you need a shoe purposely built for the task. The thinner sole of the driving shoe allows you to accurately judge the amount of pressure needed when stepping on the gas, brake, or clutch. And those little round nubs, which run from the sole right up to the back of the heel, improve traction, preventing your feet from slipping on the pedal or mat, an annoyance that can become critical when, for instance, your foot shifts during a sudden turn. Also, and maybe most important, the construction, softer and more supple, makes the shoe comfortable to wear amid all that pumping and shifting and driving, which is really reason enough to get one (just imagine stop-and-go drive in a bulky leather boot). 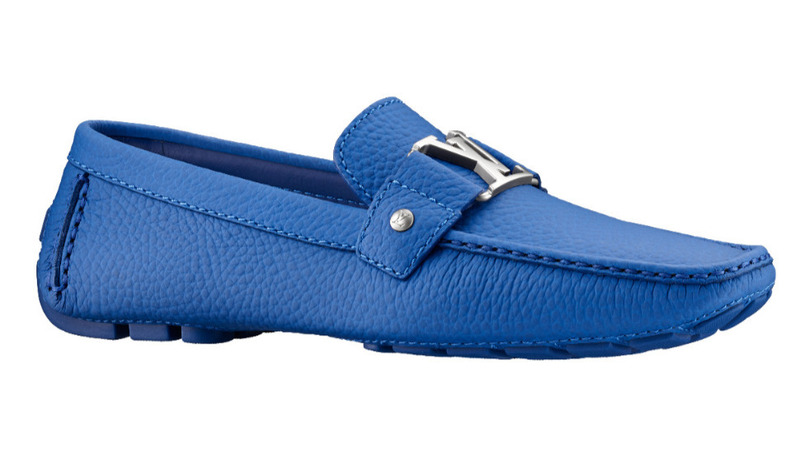 Louis Vuitton's Monte Carlo driving shoes are inspired by the fun-and-play district in Monaco. 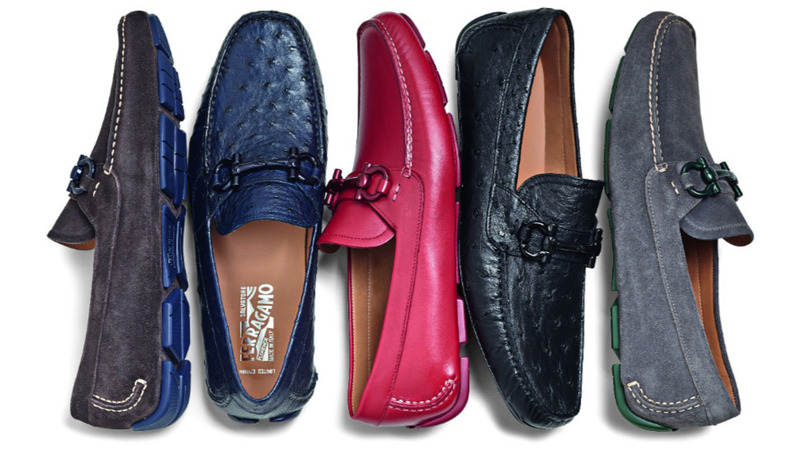 Just a couple examples of the over 1,000 combinations possible with Salvatore Ferragamo's made-to-order driving shoe progam. 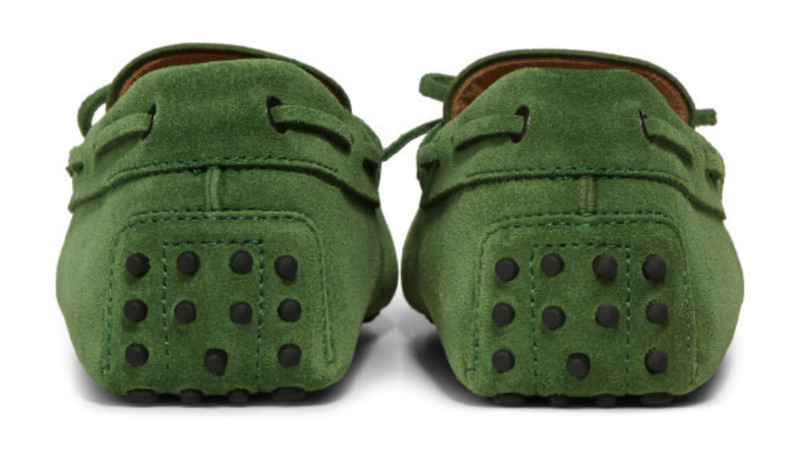 Tod's Gommino driving shoes features 133 pebbles on its sole. It was the Italian industrialist, Gianni Agnelli, who helped popularize the driving shoe when, in one of his many moments of breaking the rules of style, he paired a suit with the casual footwear. There was no pooh-poohing the Fiat titan’s choice because, well, he was the Fiat titan and the combination actually worked: The loucheness of the driving shoe complemented the soft tailoring of Italian suits and, when paired together, it only amplified that elusive attitude of sprezzatura. 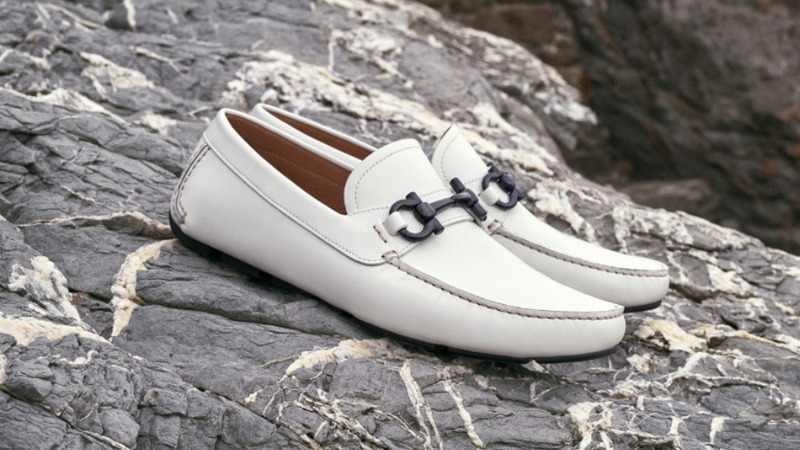 With the influence of Agnelli and the availability of the style from shoemakers like Giulo Miserocchi (who reportedly created the very first), The Car Shoe Company (who secured the original patent), and Tod’s (who popularized the style even more with the introduction of its 133-pebbled Gommino), the driving shoe made the leap from an item reserved for the one-percenter (who else would fork over many, many shekels for shoes that will only be used while in a car?) 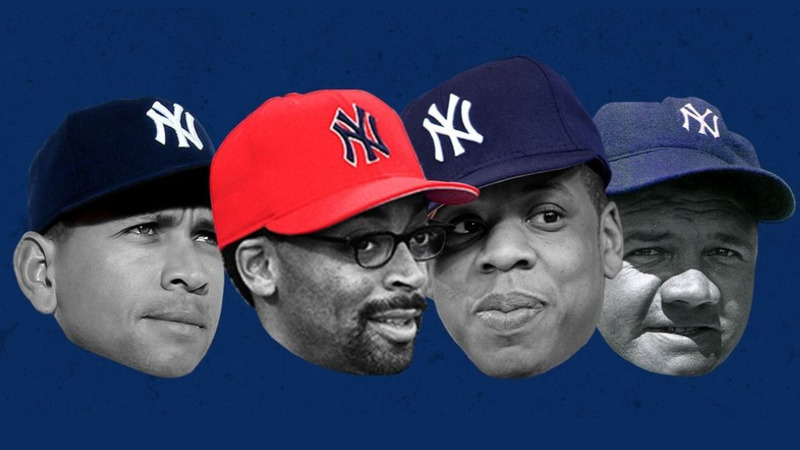 to a staple in the wardrobe of men. On the pavement, it projects a particular kind of lifestyle. The driving shoe says: I am taking it easy. It is 11 a.m. on a Monday and, yeah, I am walking to the neighborhood café. And of course, even divorced from the pedal, it still conveys the idea of getting away on journeys that end in an idyll where the sun always shines, time doesn’t matter, and walking is not a sweaty endeavor but a pleasure. You may not be able to afford to play hooky on a weekday or embark on a grand ol’ tour right now, but the feeling you get while wearing your own driving shoe will be a close approximation of that slow and perfect leisure.